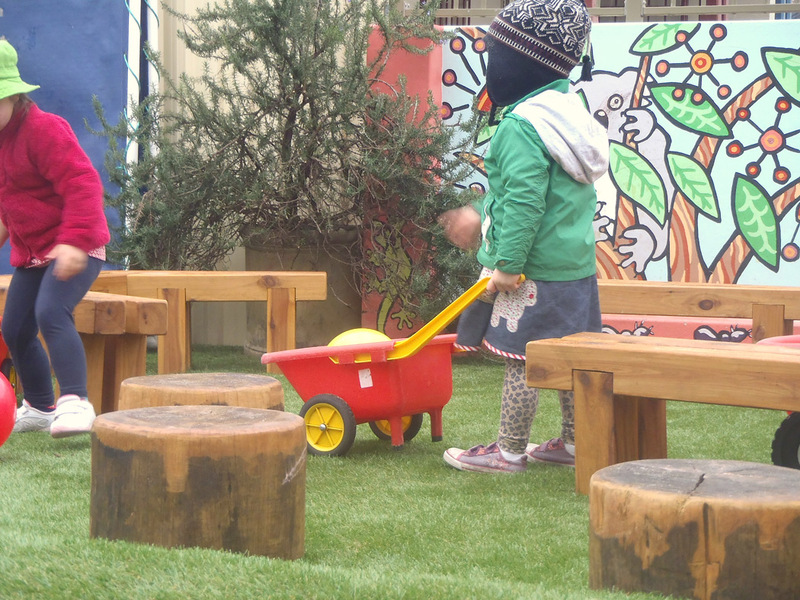 This compact centre was due for its ten-year playground makeover. 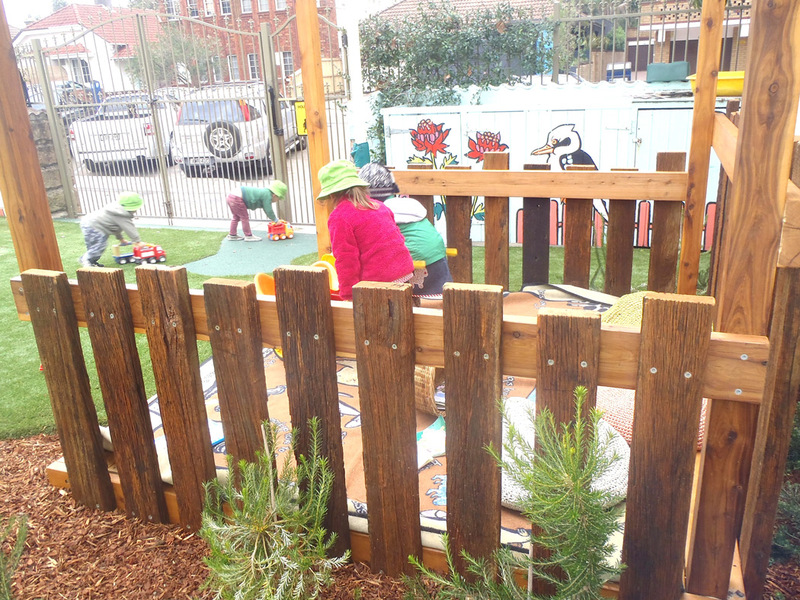 The director had given the project a lot of thought, so when it came to the design consultation, Liz had definite ideas – which was very helpful. 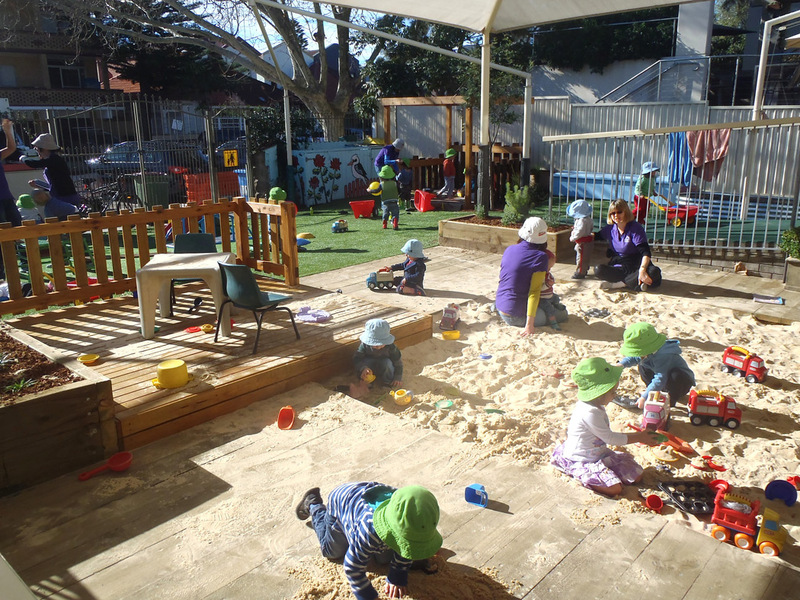 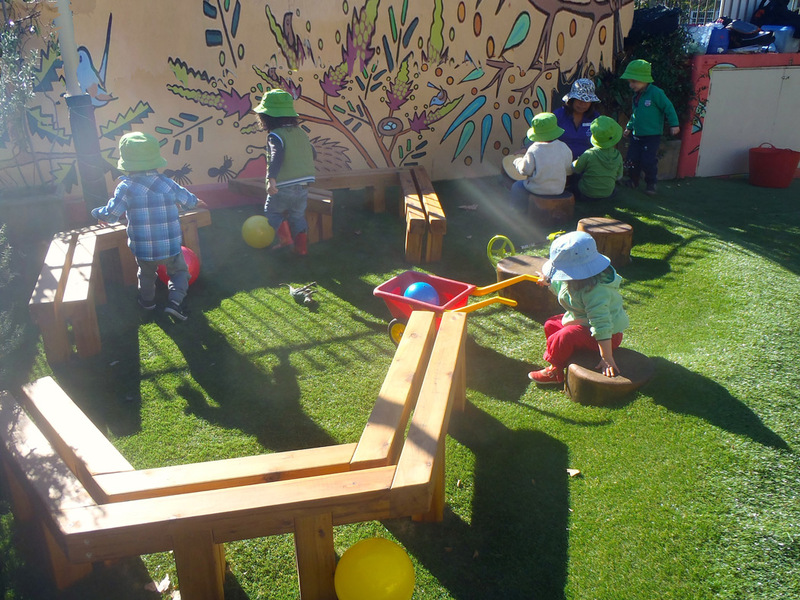 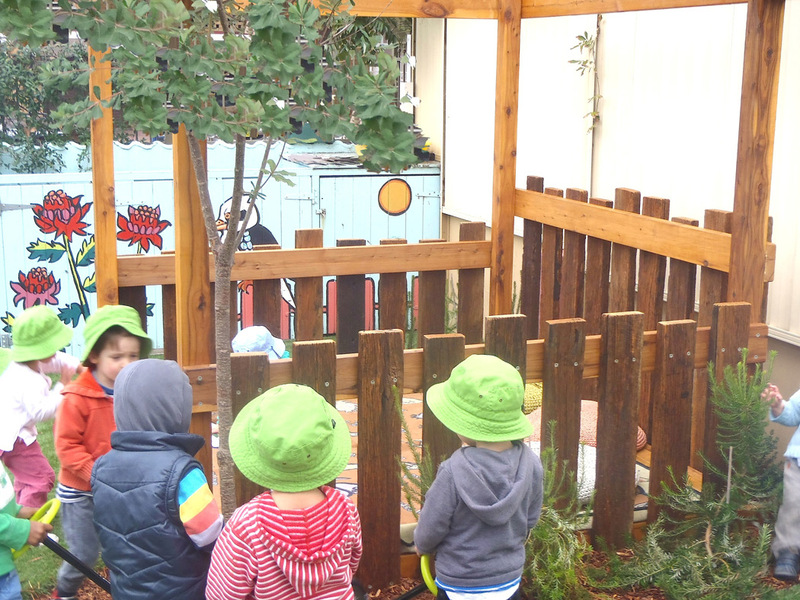 We implemented a fresh change with a new sandpit surrounded by a timber deck & custom-made fire hydrant water feature, cubbies constructed from weathered recycled timbers, a sitting nook for reading and learning groups, all new rubber surfacing, long pile synthetic grass and new hardy coastal plantings. 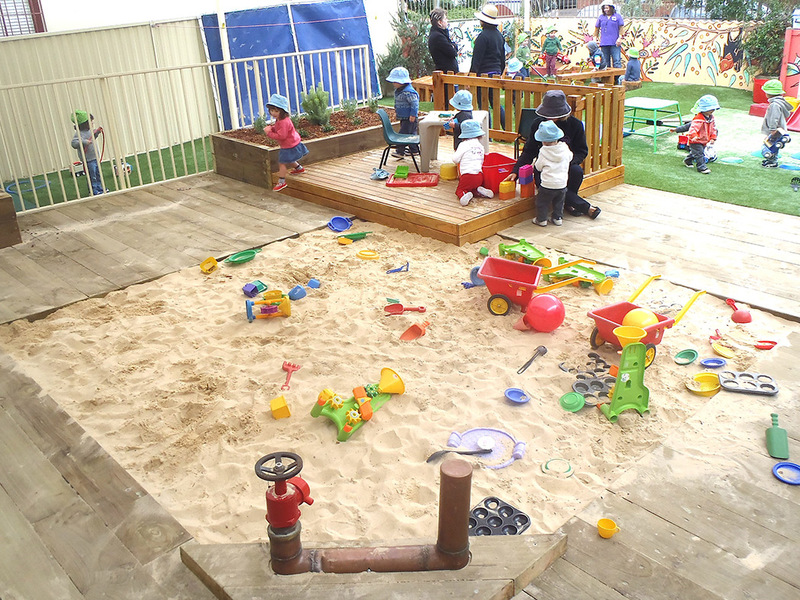 Now this busy centre has a safe and engaging playground for the enjoyment of the children, staff and families.